Clocks and alarms are an important part of people’s lives. A number of people depend on their alarm clocks. There are several alarm apps available in the app stores. Fortunately, when it comes to the clock of the iPad, you don’t require to install any of the application for setting up the alarm. Firstly, go to Siri by doing a long press on the Home Button. As soon the Siri gives an alert by beeping, you only need to provide the command. For instance, ‘ Put an alarm for 6 AM for tomorrow’. You can put the time and day according to your preference. Have a look at the display. It shall have a slider with the time and date of your alarm that you have set. If you change your mind of having that alarm or have set the wrong, then you can disable that alarm by using the slider that is getting displayed. Firstly, click on the Editing option. It will be present at the top of the Alarm display. If you wish to delete the alarm, then just click on the circular red switch that has the symbol minus on it. For changing the alarm, click on the time that has been shown for the alarm. It will take you back to the editing menu where you visited a bit earlier while setting the alarm. Firstly, go to the Clock application. Click on the Alarm button. It will be present at the end of the display towards the right. Press the option that has the symbol of a plus. This will let you add/put another alarm. Then, go through the options and select the time that you want the alarm to get set for. If you wish for the alarm to get repeated then, you are lucky because there is also an option for the same. And you can even choose the days that you would prefer having this alarm for. 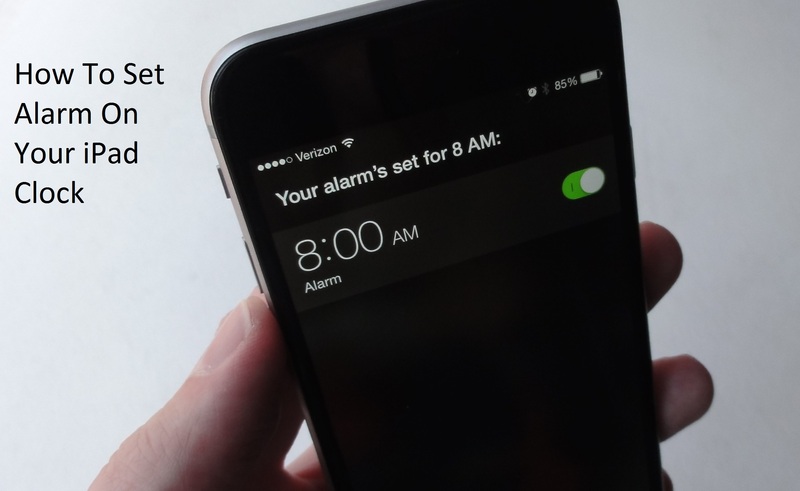 Write a New Comment on How To Set Alarm On Your iPad Clock?